London's South-Eastern corner tends to get overlooked for festivals, but Greenwich has come up trumps again with another pretty impressive week-long shindig featuring some of the best comedians on the circuit. 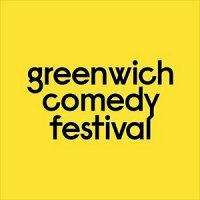 The Greenwich Comedy Festival for 2010 will take place from Monday 6th to Sunday 12th September and tickets for the majority of the performance slots are now available. All performances will take place around the grounds of the Royal Naval College (near to the location of the top-notch Beer and Jazz Festival). So, who have you got to look forward to? There are two main stages housed in The Big Top and the Spiegel Tent with many shows still to be announced. So far John Hegley and Robin Ince are confirmed for Tuesday, Arthur Smith, Howard Marks and Stephen K Amos for Wednesday, Ed Byrne, Stewart Francis, Sean Hughes and Adrian Edmondson and the Bad Shepherds for Thursday, Reginald D Hunter, Jerry Sadowitz and Eugene Mirman for Friday, a mammoth Saturday with Jenny Eclair, Phill Jupitus (improv-show), John Cooper Clarke and Shappi Khorsandi and finally Rhona Cameron and Adam Buxton on Sunday. Most tickets are around £15-£20 per show with supports to be confirmed, apart from Stephen K Amos who has enlisted Richard Herring and Andrew Maxwell and Ed Byrne who has Tim Key, Dan Atkinson and "Mock The Week" regular Stewart Francis on board. More names will be added over the coming weeks, including the big opening night on Monday. We will keep you posted. Excellent festival, now in its second year. Never mind the Buzzcocks, Bill Bailey's been added to the line-up! Not only should this draw you from your TV screens, but the funny-man, and keen conservationist has pledged the proceeds to the Sumatran Orangutan Society in honour of his late friend Lucy Wisdom. This month, Bill played a "Highlands and Lakelands" tour, taking in the north of our delightful land, and so far the Greenwich date (12th September) is his one-and-only. Canadian comedian, actor and one-time Mr Drew Barrymore will play the opening date (7th September), bringing his brand of wit and perhaps rap to a Big Top audience at the Royal Naval College on 7th September. Tickets for both show are on sale now, priced at £20 +fees each.